Overland Park's Best Commercial Cleaning Service! Is your office space so dirty you can't find your stapler? Are you tired of rotating toilet cleaning with the rest of the office? Overland Park Commercial Cleaning is here for all of your commercial office cleaning and janitorial service needs in the Greater Kansas City area. When you need clean, we're the ones to call. Day or night service from small companies to large corporate facilities - no longer will you have to worry when a potential client needs to use your restroom and your first thought is when was the last time we cleaned in there? Overland Park Commercial Cleaning has the professional staff who will listen to your particular cleaning needs. Let us focus on cleaning so you can focus on business! 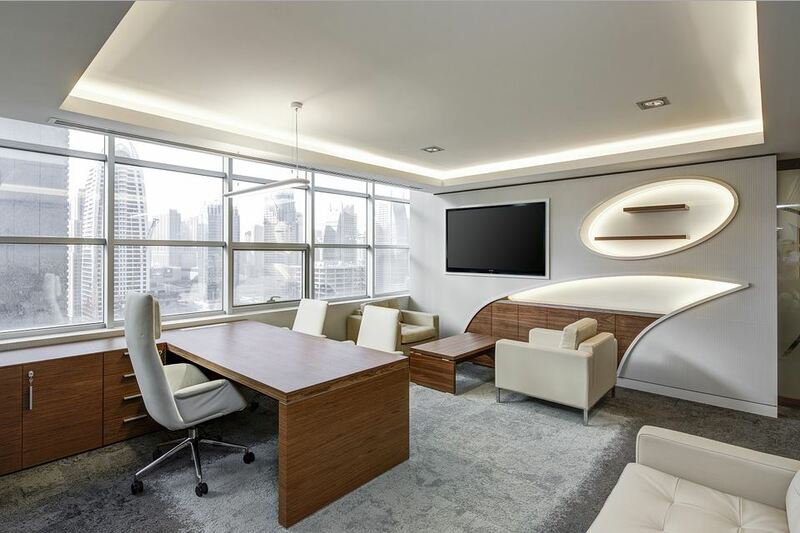 Whether it's spring cleaning for a special event or recurring weekly needs, we have the know how to get your office space squeaky clean. You will receive our competitive price after a free estimate is determined by one of our associates. Or give us a call and we'll take care of it for you! What is the value of clean in your company? Is a dirty facility costing you money? Think, improved employee wellness and greater productivity - less sickness, less clutter. Think, greater customer satisfaction - everyone loves to walk into a clean place of business. Think preservation of assets, everything runs better when properly cleaned and maintained. ​ When you need building cleaning, let us be your Janitor. For your Free Quote to a cleaner business, call us today at (913) 747-4062. We have the experience to thoroughly clean your place of work. Expect dusting of all furniture in the lobby and office areas, sanitization of phones and vacuuming. In all rooms and hallways, we will remove cobwebs, vacuum or sweep and mop all floors; wipe down baseboards and window sills; clean windows, light fixtures and ceiling fans. Kitchens / break rooms sparkle after we clean the sinks, wipe down all chairs, tables and counter tops; microwaves, inside and out; sweep and mop floors. Bathrooms will shine after the sinks, toilets and floors are cleaned and sanitized. Be assured that our cleaning experts have the proper training to keep your workplace tidy. Give us a call today at (913) 747-4062. Overland Park Commercial Cleaning has your green concerns in mind. Green cleaning uses products that have a reduced impact on human health and the environment in comparison with current leading products and performance of those cleaning agents and methods. Mainly, we are concerned about human health, the comparative nature of janitorial cleaning products and performance of said products. The reason we clean is primarily to protect human health not just for employees, customers and others who might use an office during the day; but our custodial staff as well. Cleaning green compares current products and while there may not be a best practice, encourages improvement over time. Green products must serve their purpose. In the end, a new, green product must perform its intended purpose while maintaining a healthy cleaning environment. For our best rates, call us today at (913) 747-4062. There are several reasons to maintain a clean office. Staff deserves to work in a clean environment and cleanliness is reflected in how customers view a business. Overland Park Commercial Cleaning Services can maintain hygienic products such as hand soap and toilet paper. Business owners have important things to tend to. Let us take responsibility for necessary cleaning and stocking that might otherwise be a low priority task. Kansas City and throughout the Midwest, we have tons of allergens. These build up in offices as dust; let us help keep this hazard to a minimum level by dusting your office regularly. When you hired your employees, it probably wasn't for their expertise in cleaning toilets and emptying the trash. How does your staff think when they're asked to rotate cleaning duties? Leave your workers to their duties and let us cover the cleaning! We are a professional cleaning company, with the experience and professionalism to take care of your cleaning, sanitizing and dusting needs. Allow us to, because we have the equipment and know how to maintain a clean environment in your place of business. For a Free Estimate, call us today at (913) 747-4062. ﻿Choosing the right organization is a must. Remember, the company you choose will be working outside normal business hours. This means trust is incredibly important when choosing the right commercial cleaning company for your office. The visual appearance of the inside of your company will impact how your client or customer thinks of you. Making that decision to partner with a commercial cleaning service provider can establish a solid working relationship with the combined goal of greater productivity and business growth for all involved. You never know when important clients might stop by the office, so it's important to hire a commercial cleaning company that will keep things neat and clean. Additionally, the health of your employees is paramount when considering dust or mildew in the environment they might be in for hours each day. The right cleaning service can help keep those threats from interfering with employee performance, saving potential thousands of dollars in missed work and insurance claims. Be sure to note which items may or may not be handled by the cleaning company. Information is easy to transfer these days; make sure that computers are password protected and any sensitive material is locked away on a daily basis. Remind your employees about the risk of leaving out certain information or company assets when non-employees are around - think out of sight, out of mind. Lay out the guidelines you would like commercial cleaning to adhere to before allowing them into your facility. Sound communication will ensure that your needs are met. More recently, environmentally friendly products are an alternative to some of the classic cleaning compounds. 'Going green' can have in impact on your employees health, so be sure to inquire about these newer products. Often, opting to 'go green' may not cost much more than traditional products, and think of the impact you'll be making. After weighing these factors, we hope that you'll choose us as your professional commercial cleaning company. Just call us at (913) 747-4062 to schedule your free consultation and quote.